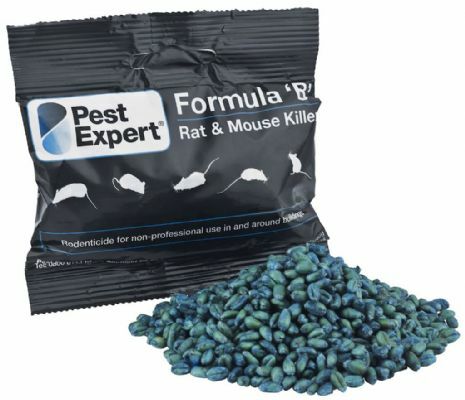 Pest Expert Formula 'B' is an industrial strength rat poison approved for amateur use. 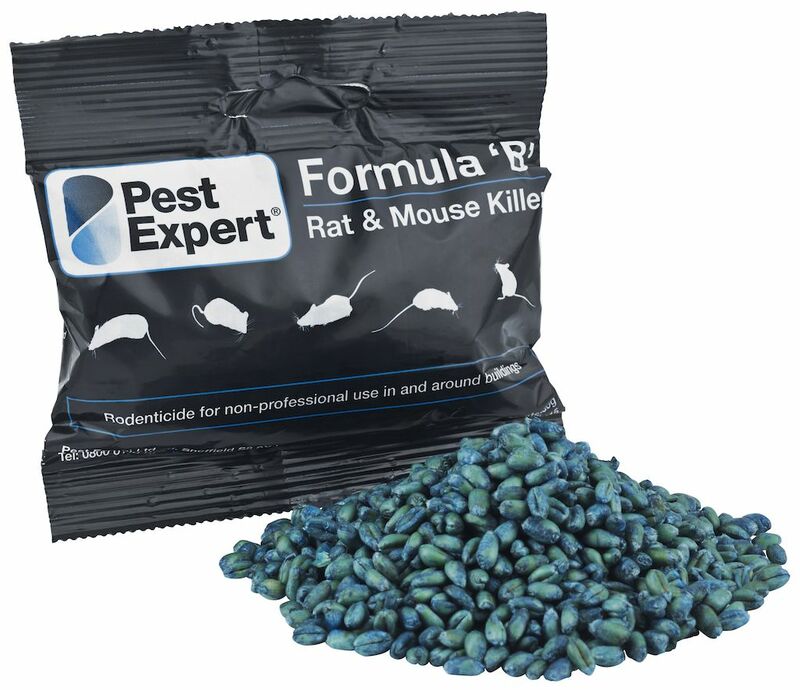 Manufactured in the UK, using only the highest quality grain and containing Brodifacoum at the maximum legal strength, Formula 'B' has been scientifically proven to far outperform other rat poisons on the market. 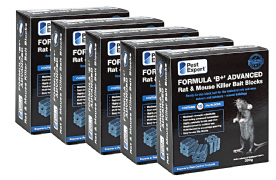 Formula 'B' rat poison provides the perfect choice for rapid eradication of all rat infestations, large or small, indoors or outdoors around buildings. 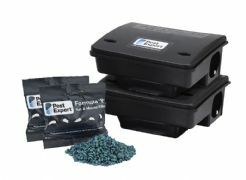 Also available in various pack sizes, or Pest Expert Rat Poison Killer Kits - See related products below or "Rat" category page. 1. For control of rats use 100g of Formula B poison per bait point. For best results and improved catch rates, place additional bait points up to 10m apart. For heavier rat infestations, place the bait points closer together, approximately 5m apart. 2. The bait should be placed in secure locations such as bait stations, where rats have been seen running or feeding. Indoors this would include under cupboards, behind furniture or in loft spaces, sheds or garages. 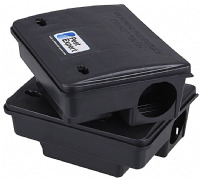 Outdoors, this would include behind boards or tiles or inside lengths of pipe. 3. Bait should be securely fastened and always protect bait from non-target animals, children and water. 4. Inspect bait points every two days and replenish eaten, damaged or contaminated poison until no more bait is taken. 5. Remove all alternative food sources to ensure uptake of the poison and lethal doses are consumed. Use Rodenticides safely. Always read the label and product information before use. For use only in areas that are inaccessible to infants, children, companion animals and non-target animals. Prevent access to bait by children, birds and non-target animals (particularly dogs, cats, pigs and poultry). Unless under the supervision of a pest control operator or other competent person, do not use anticoagulant rodenticides as permanent baits. In most cases, anticoagulant bait should have achieved control within 35 days. Should activity continue beyond this time, the likely cause should be determined. Search for and remove dead rodents at frequent intervals during treatment, at least as often as when baits are checked and/or replenished. Daily inspection may be required in some circumstances. Dispose of dead in accordance with local requirements. In the UK, poisoned rodents should be double-bagged using plastic bags and either disposed of in household waste bin with secure lid to prevent access of wildlife or pets collected by a specialist waste contactor or local authority. Antidote vitamin k1 (under medical supervision). UK medical professionals should contact the National Poisons Information Service (www.npis.org) for further advice. All quiet in the compost bin now. Excellent service advice and delivery. It seems to have quieten those pesky little critter and my 79 year old mum is quieter too ( not complaining!). Second time of buying this, it does what it says on the tub. No more rats.